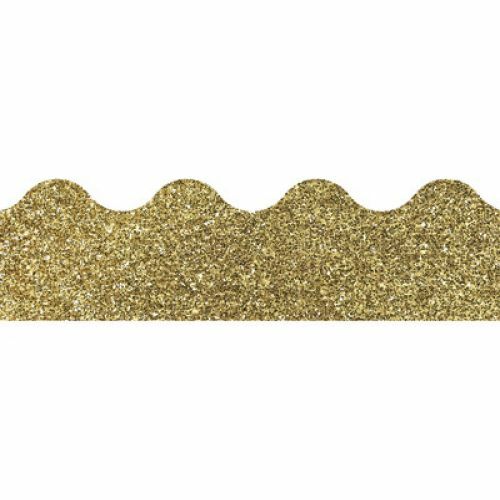 Take your displays to a stylish new level with Sparkle + Shine scalloped borders for the classroom! 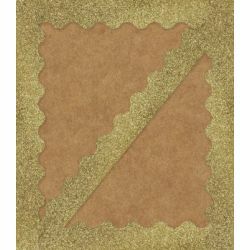 Enhance message boards with glitzy borders from the Sparkle + Shine collection. 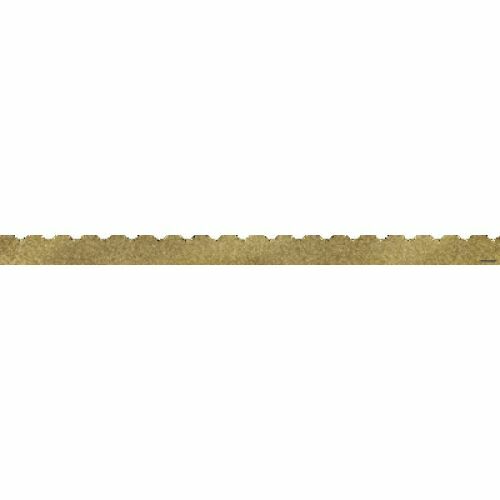 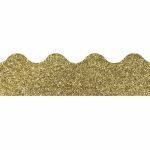 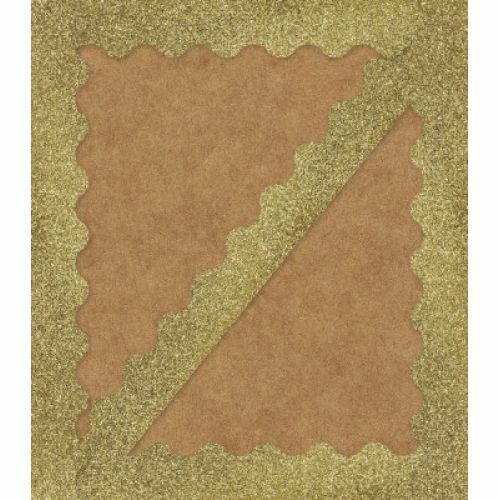 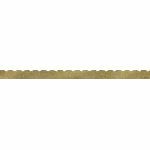 The Sparkle + Shine Gold Glitter scalloped border pack includes 13 strips, each measuring 3' x 2.25" for a total length of 39'.